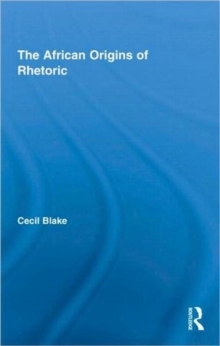 Through a critical analysis of ancient African texts that predate Greco-Roman treatises Cecil Blake revisits the roots of rhetorical theory and challenges what is often advanced as the "darkness metaphor" -- the rhetorical construction of Africa and Africans. Blake offers a thorough examination of Ptah-hotep and core African ethical principles (Maat) and engages rhetorical scholarship within the wider discourse of African development. In so doing, he establishes a direct relationship between rhetoric and development studies in non-western societies and highlights the prospect for applying such principles to ameliorating the development malaise of the continent.